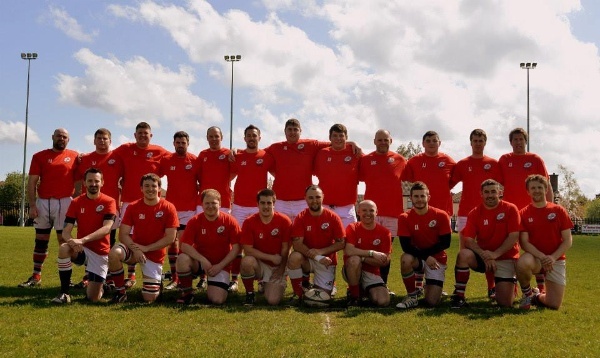 On Saturday 28th October, Larne 3rds entertained Ophir 2nds at the Glynn in a 1.00pm Kick Off. With sunny and windy conditions, it was a must win for both teams as they took to the field. Larne started the better out of the two teams when Larne out-half Ricky McIlheron, with his dazzling footwork and speed, managed to squeeze through the Ophir defence and run in from the half way to get the first try of the match. Aaron Carter getting the conversion to make it 7-0. The lead didn't last long as Ophir got on the score sheet with a try of their own from the restart, but missing the conversion leaving it 7-5 to Larne. However with Bobbie Garrett, making a rare 3rd's scrum half appearance, created good movement of the ball to pass out wide for McIlheron's 2nd try of the match. Carter missing the conversion for 12-5. Once again, missed tackles came back to haunt Larne and Ophir brought it back to 12-12 through their centre. Ophir with the wind at their backs kept Larne under pressure in their half each time but making the clearance kicks through Aaron Carter. An Ophir scrum on the 5m line looked dangerous, but the combined front row effort of Jack McNeilly, Stephen Johnston and Andrew Hyndman, stepped up to steal the ball literally under the noses of Ophir, them of an attacking opportunity. The momentum gained from this and when the Ophir penalty count began to rise, Larne took their chances through penalty kicks up the touchline. The Larne forward pack winning the line out and a big drive from Stuart Johnston got over the try line, only to be held up, which led to a scrum. The resulting scrum in Larne's favour, was won and given to the backs for space out wide through Joel Johnston to score the try before half time. Carter missing the conversion against the wind. Half time Larne 19 - Ophir 12. Larne in the second half with the wind aiding them, used it to their advantage to pin Ophir back in their own half with Aaron carters kicking. Larne then managed to get the bonus point when an opportunist Bill Abernethy, gathered a kick and sidestepped two players on his way to score his first senior try. Carter missed the conversion to leave it 24-12. For most of the 2nd half both teams took turns in possession and with brilliant tackling in defence from Larne's Jonathan Murphy, Stuart Hoey and Adam Oakley, Larne managed to win possession. But Larne weren't finished yet - another brilliant kick from Aaron Carter got Larne deep in Ophir's half, which led to a line-out won by Stuart Johnston and the Larne pack to then receive a penalty to Larne on the 5m line. Bobby Garret gave the ball to Ricky McIlheron and he rounded off a man of the match performance with a hat trick. Carter's conversion taking Larne's final points of the day 31-12. Ophir responded with a try and conversion but the brave men from Larne held on to get their first win of the season. Final Score Larne 3rds 31-19 Ophir 2nds. D.O.T.D moment goes to captain Bobby Warwick for the restart kick he attempted to make. Instead of catching the ball, the ball hit him on the head (Falcon), and look round confused where the ball went - resulting in Ophir picking up the ball and scoring a try from the restart.